During winter season every one wants to eat hot and tasty foods mostly at evening time.But eating the oil foods daily is not good for health.So sweet corn can be replaced with oily foods.Sweet corn is the tasty and healthy food. Sweet corn at the evening time is a good diet and it maintains our body with balanced weight.Now a days sweet corn is available in markets ,so we can prepare at home easily. 1.Sweet corn is rich in Vitamin B1.B5,B9,C,phosphorous,manganese,fibre. Vitamin B9 is used to reduce the damaging of blood vessels.Damaging of blood vessels results in heart strokes ,attacks.So by eating the sweet corn heart strokes and attacks can be reduced. By eating sweet corn lung cancer can be prevented.Instead of having junk food at evening times have a sweet corn for being healthy and beauty. 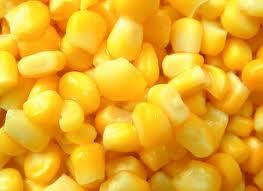 The Vitamin B1 in sweet corn is used to improve memory.So this sweet corn is used for every student while studying. By eating sweet corn the age related eye problems can be reduced and every one can have a healthy vision. 1.Firstly boil the sweet corn seeds for 10 minutes in water,so that the seeds should be chewable and boiled. 2.After boiling the seeds,take the seeds into a bowl and add the ghee,pinch of salt and red chilli powder. 3.After that add a pinch of garam masala,so that it will be tasty with sweet and hot flavours. 4.If you want to add another taste ,add a spoon of lemon juice. 5.Serve it and enjoy the delicious taste of sweet corn. 6.If you want add the vegeatables to that sweet corn .It will be more tasty. Nice information, you people can take help from the Pure Goji Berry Juice also to maintain good health without any worries. You people can take help from these juices to maintain good health without any worries and tensions.